I had the dinner duty this weekend and served the first Dungeness crab of the season. It’s a longstanding favorite in our household. 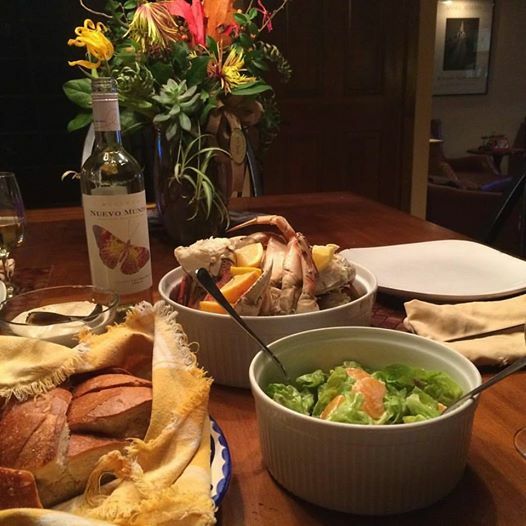 We served the crab with a Butter Lettuce salad that included Mountain Mandarins and French dressing — a classic recipe from the Brown Derby in Los Angeles. We squeezed Meyer lemons onto the crab. Thanks to The Little Fish Company, Mountain Mandarin Festival, BriarPatch Co-op and Tess’ Kitchen Store wine club for our dinner. The wine was Nuevo Mundo Viognier from Maipo Valley in Chile — about $15 a bottle. It went well with the crab. 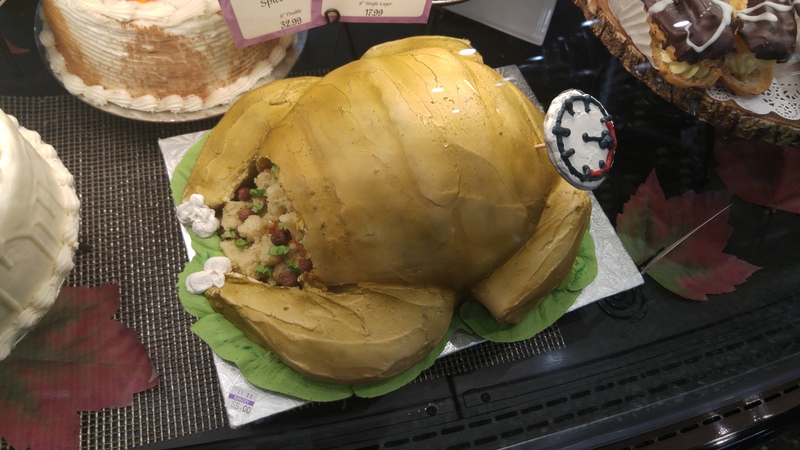 Meanwhile, on the “foodie front,” a regular reader, Native American artist Judith Lowry, sent a photo of a custom cake that looked like a Thanksgiving turkey from the Market of Choice grocery store in Bend, Ore. 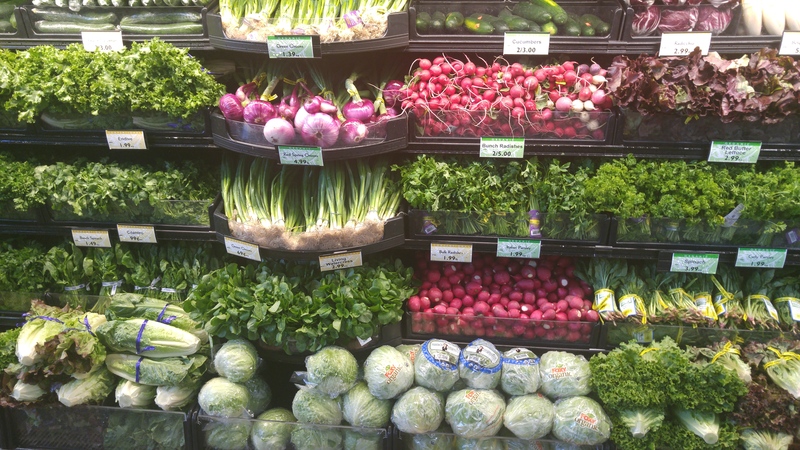 The produce looked amazing. Enjoy your Thanksgiving week!